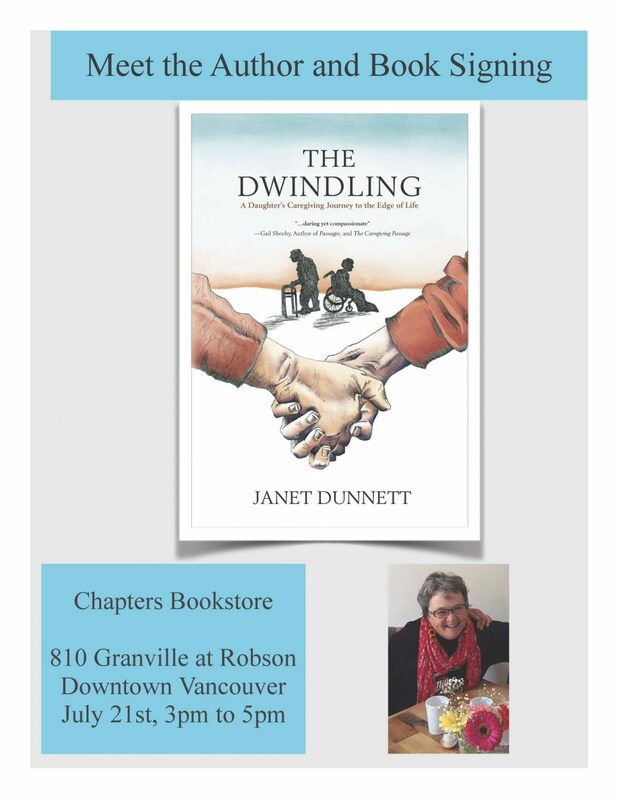 Janet Dunnett, a friend of PVN, has recently published a book about her experiences as a caregiver on Vancouver Island. She believes that hearing even just one story can inspire others to share their caregiving experiences too. She hopes the book will help contribute to social change that needs to be urged. The event, which gives attendees a chance to meet the author and get their books signed, is on July 21st from 1500 to 1700 at Indigo Bookstore at Granville and Robson in Vancouver.